Can the Hidden Fees of Concert Tickets be Avoided? Summertime and concerts go together like winter and snowball fights. Whether it’s Lynyrnd Skynrd or Ariana Grande, you’d pretty much give your right arm to see your favorite band. But VIP ticket prices are out of control and even nose-bleed seats can be ridiculously expensive, too. These days, the hidden fees of concert tickets and eyebrow-raising prices make concert-going into more of a luxury for Americans. You know how it goes: you decide to go to a show, and you find a reasonably priced ticket online. Seats are chosen, delivery method is selected, and everything looks great until you hit the final checkout. That’s when you’re hit with a huge fee and suddenly you’re faced with the choice of seeing a concert or making rent! However, most consumers are already so committed to the purchase that they accept the extra fees whether they understand them or not. In the mid-’90s, artists started realizing that fans in the best seats bought tickets from scalpers, hundreds of dollars overpriced. Since the industry was not profiting from this, they started charging premium prices for the best seats. Pink Floyd was the first rock band to adopt this pricing model on its world tour in 1994. But now, almost a quarter of a century later, is premium pricing helping or hurting the real fans? In 2010, Ticketmaster promised to always provide transparent ticket pricing, and StubHub followed suit in 2014 with “all-in” pricing. This pricing model didn’t make anything cheaper though. Even sites that offer “no fee tickets” are using this model and simply marking up the shown ticket price to include all extra charges. While this approach seems more honest, is important to check that the now-transparent fees are within reason. Regulations require mandatory fees to be clearly disclosed. But these rules don’t determine how much a company can charge. A few years ago, the ticketing industry had collectively charged consumers more than $1.6 billion in such fees! And then there’s secondary ticketing market, heavily exploited by scalpers and resellers. These profit-seekers affect the total fees and charges of the entire industry, not just the tickets they’re selling. Obama’s decision in 2016 to outlaw the ticket bots that are used to scoop up major concert tickets has helped somewhat. And some artists have even tried to squeeze scalpers out of the market entirely. For the past two years, Adele has teamed up with Songkick, who developed technology to identify and block 53,000 potential scalpers from buying tickets, saving fans more than $50 million. There are tons of factors that contribute to the overall price of a concert ticket. Among others, the venue’s type and size, the artist’s guarantee, facility charges, production and crew costs all affect purchase price. If you’re already budgeting for added concessions, merchandise, and babysitting, this can seem like way too long of a list. But these extra fees help create a contract between you and the seller. Since online streaming reshaped the music industry, artists now make most of their money from touring instead of record sales. Most people think this is why ticket prices are rising. Although their wages play a role in the price, artists still take into consideration the entire ticket-pricing landscape in order to attract as many of their fans as possible. Can Music Fans Avoid These Fees? 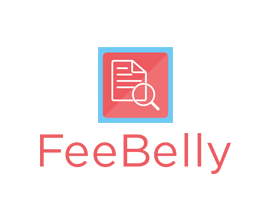 Hidden fees in concert tickets are, unfortunately, mostly unavoidable and can change with little to no notice. 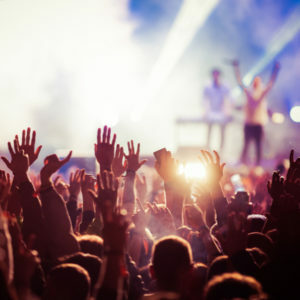 StubHub states that it “reserves the right in its sole discretion to change Fees at any time as it deems appropriate, including after you list your tickets.” However, there are a few ways you can attempt to keep the upper hand with these fees. You can try for pre-sales as early as possible (sometimes limited to fan clubs) or the secondary market as late as possible to find last-minute bargains. Don’t rely on promotional advertising to give you the full price of your tickets though, because terms and conditions like to hide in the fine print. You can also use tools like TicketIQ to compare prices on the secondary market, making it easier to spot the best deal. Remember, service charges can be called different names. Look out for processing fees, commission, or transaction fees. The best chance you have to avoid hidden fees of concert tickets is purchasing with cash at the box office. And one other (less fun) option is a service like Yahoo! Music which streams live events online for at-home viewing. In Ticket Masters: The Rise of the Concert Industry and How the Public Got Scalped, Dean Budnick and Josh Baron predict that that ticket prices overall will stop increasing. “While they may inch up in conjunction with general cost of living increases, it does seem that prices will generally hold.” If this prediction is right, we will see major ticket prices begin to level out. But considering the average price of a ticket to see your favorite band has tripled in the last 20 years, it is unlikely that the extra fees will ever disappear.